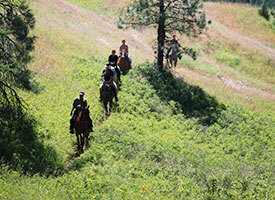 Okanagan Stables, offering a fun horseback riding experience for all ages and all levels of riders! Horseback riding at its best! Safe and fun for beginners! Great for advanced riders too! Easy access from Vernon, Lake Country and Kelowna! 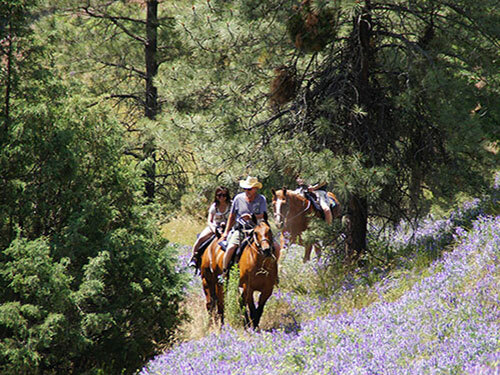 Okanagan Stables , under the capable hands of owner/operator Peter Obstfeld, has been offering wonderful horseback riding opportunities since 1987. At Okanagan Stables, we offer family oriented horseback rides for all ages. We pride ourselves on putting even the youngest or most nervous riders at ease, while at the same time offering trail rides for all levels of horseback riding experience. Our trails offers spectacular views and vistas, giving you a taste of the best that Lake Country in particular and the Okanagan in general has to offer. For lasting memories of this superb experience, we have some classic photo opportunities built into our programme and will take pictures with your own device (Smart Phone or small camera). Among our varied programmes, the "Intro Mini Trail Combo" for only $35.00 is very popular! Great for Never Ever's and the very young, who will have their horse led on foot and perhaps a side walker as well. 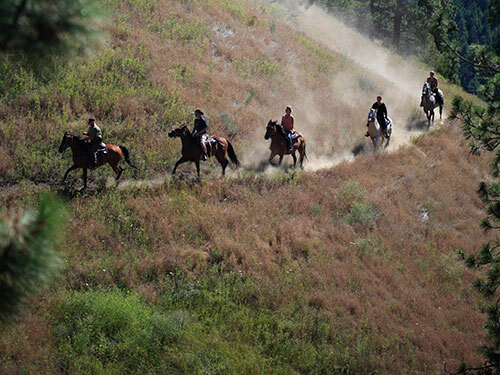 One of Okanagan Stables signature rides that we have often offered over the years is a "swim with the horses", where our patrons will enjoy a thrilling experience. 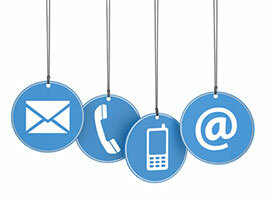 Click here for more information! We welcome families and groups - whether celebrating a birthday, a special day for your family, or just having a fun outing, Okanagan Stables is a great place to gather! As of the 2018 riding season, we are now located on land showing on Google Maps as being 12862 Talbot Rd, Oyama (Lake Country). 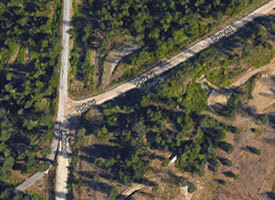 Please note that this is an approximation of our location as applied by Google and is not to be used as postal address. Click here to view map of our location. 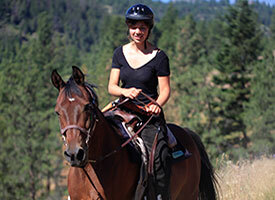 Click here to view all the different horseback riding programmes offered by Okanagan Stables! Copyright 2008-2018 Okanagan Stables, serving Kelowna, Lake Country and Vernon, British Columbia, Canada.